Enjoy silky hair with Dove Nutritive Solutions Nourishing Oil Care Shampoo that helps to smooth up to 100% of roughness and control frizz. 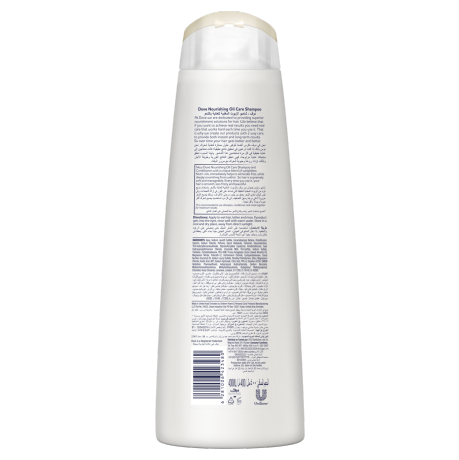 We all want shiny, silky hair that’s touchably soft and easy to manage. Did you know that natural oils have been used in hair treatments for many years because of their moisturising, smoothing and deeply nourishing properties? 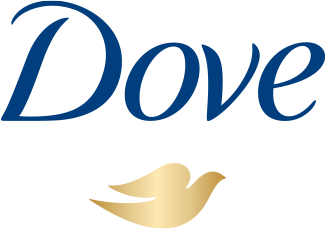 We’ve created Dove Nutritive Solutions Nourishing Oil Care Shampoo to instantly help tame frizzy, unruly hair and, with continuous use, give progressive nourishment over time for healthier hair. Just apply to wet hair, lather and rinse. For best results, follow up with Dove Nutritive Solutions Nourishing Oil Care Conditioner. Water, Sodium Laureth Sulfate, Cocamidopropyl Betaine, Dimethiconol, Glycerin, Sodium Chloride, Perfume, Glycol Distearate, Carbomer, Gluconolactone, TEA-Dodecylbenzenesulfonate, Styrene/Acrylates Copolymer, Amodimethicone, Guar Hydroxypropyltrimonium Chloride, Cocamide MEA, TEA-Sulfate, Sodium Sulfate, Trehalose, Cyclotetrasiloxane, PEG-45M, Prunus Amygdalus Dulcis (Sweet Almond) Oil, Magnesium Nitrate, Trideceth-12, Cetrimonium Chloride, Cyclopentasiloxane, Cocos Nucifera (Coconut) Oil, Sodium Lauryl Sulfate, Dimethyl Palmitamine, Silica, Magnesium Chloride, Acetic Acid, BHT, Sodium Hydroxide, Citric Acid, PPG-9, Disodium EDTA, DMDM Hydantoin, Phenoxyethanol, Iodopropynyl Butylcarbamate, Sodium Benzoate, Methylchloroisothiazolinone, Methylisothiazolinone, Butylphenyl Methylpropional, Citronellol, Hexyl Cinnamal, Limonene, Linalool, CI 17200, CI 19140, CI 42090.